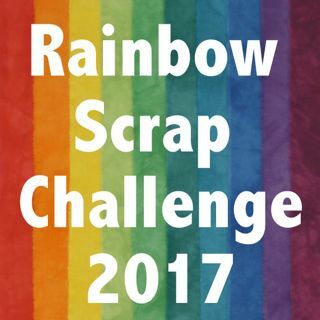 The Rainbow Scrap Challenge 2019 is working on your Red scraps this month. My reds are in good shape, sorted, many blocks made last year. But I did not get my Red string blocks done till this Saturday. I got 14 half red blocks done. Some Lime and Purples were done to those are done ready to be trimmed. Then I had computer trouble. My editing program is not working well. I could not resize my photos. Well today I got it partly done but with a different program. Not really happy with what I used. So I am still in the hunt for a good program that is easy and quick to use. Here is one block ready for another colour on the other half. There are Chickens and Cherries prints. More Red is over at Socrappy. So many ideas for scrap quilts. Check it out. This looks to be the last Saturday of Jan so Feb will have a new colour, looks like that might be Yellow. So it it Monday I will also join the Design Wall Monday over at Small Quilts and Doll Quilts.